Legal at PwC offers a unique proposition for both clients and employees alike – as our members learnt at the firm’s First Year Insight Day this week. Students networked with current trainees, tackled a negotiation exercise and participated in an interview skills session. Students were welcomed to the firm’s Embankment Place London office by Keily Blair, Director and Co-Lead of Contentious Data Protection Strategy, Law and Compliance, Kirsty O’Connor, Commercial Disputes Lawyer and Pro Bono and Skills Based Volunteering Coordinator, and Annalie Croney, Director and Solicitor in the Banking and Finance team. Annalie, who trained at the firm and is now the Trainee Director, gave students a fantastic overview of Legal at PwC. The firm views itself as a disrupter in the market. With over 3,700 lawyers in 97 countries, PwC is the largest legal services network by geography and their multidisciplinary full-service practice is a valuable proposition to clients. PwC can be a client’s one stop shop for all of their legal and professional service needs, which arguably poses a threat to traditional private practice firms. The unique business model attracts high calibre clients, including household names such as BP, UBS and RBS. For Annalie, this isn’t the only differentiator for PwC. 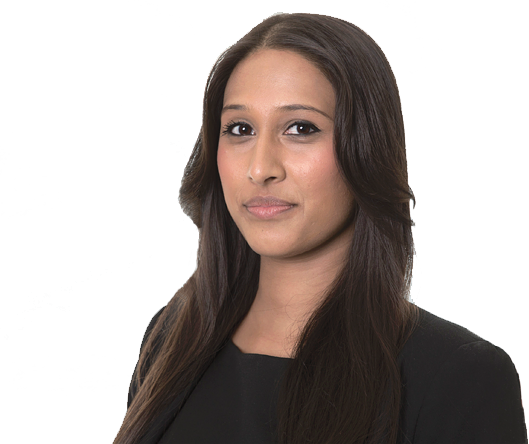 She believes the long-service culture and 100% trainee retention rate evidences the fact that their lawyers enjoy the varied and challenging work, collaborating across disciplines to develop a well-rounded, commercial understanding of each project. The firm also empowers its people through focused and tailored career development, technology, and networking by way of cultural and social events including sports teams. It’s for these reasons that the firm attracts future trainees with entrepreneurial spirit, who will think outside the box and run with the opportunities available to them at PwC. Keily and Kirsty work together on PwC’s pro bono and diversity initiatives. Keily described Aspiring Solicitors as being fundamental to these efforts, telling students, “your background shouldn’t matter – the only thing that should matter is your talent and your drive.” Coming from a private practice background herself, where there is often an emphasis on pro bono, Kirsty shared that she wanted to make this part of the day-to-day for lawyers at PwC. This is being introduced in a range of ways, such as partnering with the King’s College London’s pro bono clinic to provide free legal advice for those who would not otherwise be able to access justice. It was apparent that such work is reflective of the positive culture at PwC. Students also had the opportunity to participate in a negotiation exercise – equipping them with the practical experience they will need ahead of assessment centres in the future. Students split up into groups, assuming the role of either the buyer or seller in a proposed property transaction. After a period of preparation time, students got stuck into the negotiation and received real time feedback from the trainees and solicitors that were shadowing each group. After a networking lunch with PwC professionals, Kate Reynolds from the student recruitment team delivered an interesting session on the firm’s First Year Insight Day. The programme is available to first-year law students and is designed to give participants an insight into life as a trainee at PwC. This is a fantastic stepping stone if students are interested in applying for PwC’s vacation scheme in their second year, which is the only way to be considered for one of the firm’s 25-30 training contract places annually. To help students with the application process, Kate also ran through an interactive video interview tips workshop. As a group, students reviewed recordings of video interview examples, picking out the positives and areas for improvement in each one. Students correctly identified that common mistakes included poorly structured answers, a lack of research and unprofessional body language, such playing with their hair or no eye contact. Video interviews form part of the PwC application process, during which students will be assessed against the PwC Professional Framework – making the session a great opportunity for students to think about how they can best prepare in order to succeed. To finish the event, students posed their questions to the trainee panel, made up of Anthony Asindi, Megan Domas, Ewan Gardner and Alistair Hamilton. After hearing about PwC’s unique legal business model throughout the day, students were keen to find out why the trainees had chosen to train in this way, rather than following the more traditional private practice route. For Megan, she was drawn to the brand, reputation and global reach that come with the PwC name. Through the vacation scheme, she’d also experienced a collaborative culture and thought she would be challenged in her day-to-day work by approaching a client’s problems with non-lawyers as well as lawyers, because of PwC’s multidisciplinary structure. This opens trainees up to a much wider range of knowledge – they don’t look at legal issues in isolation, but rather they think commercially about the wider project and how each team is involved. The trainees also praised the supportive, social and flexible culture at PwC. Anthony explained that all employees are assigned two supervisors: one who oversees your day-to-day work in each seat and technical progression, and one who acts as your Career Coach. Your Career Coach offers pastoral care, ensuring you’re developing professionally and personally throughout your time at PwC. This is an interesting differentiator for PwC, in comparison to many private practice firms who will only provide one mentor to trainees. As an aspiring solicitor myself, I can see how this would be highly beneficial both at the start of your career and as you progress through an organisation.